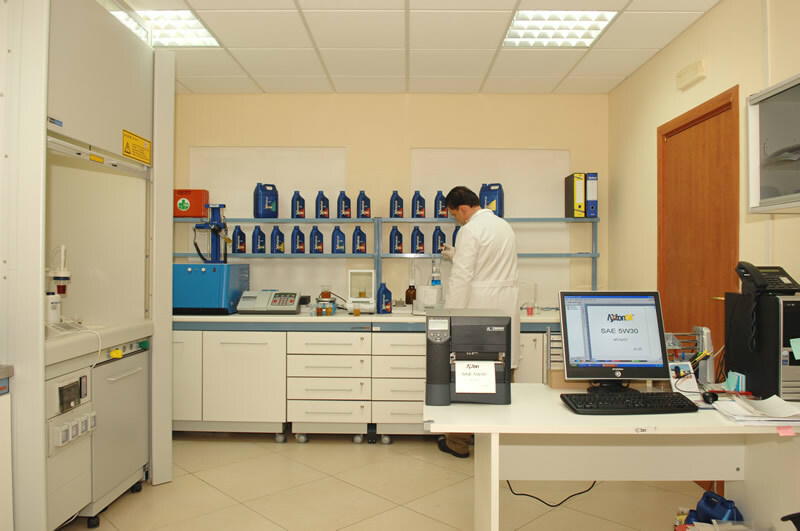 AxxonOil constantly researches and develops new advanced technology lubricants. The research department runs tests and laboratory analysis to obtain advanced products that can satisfy the requirements of the most modern engines. 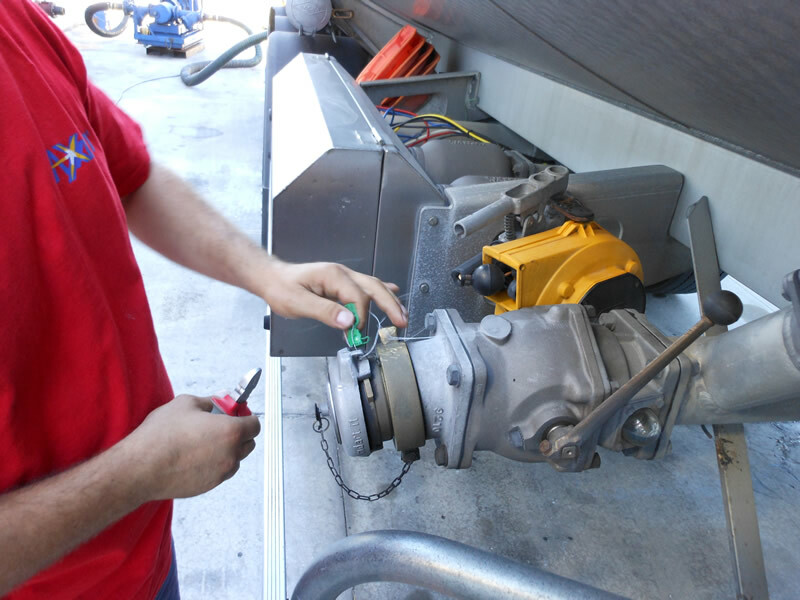 The technical experts in lubrication collaborate with the main vehicles manufacturers and with clients in order to have a complete overview of the latest technologies and lubricating needs. 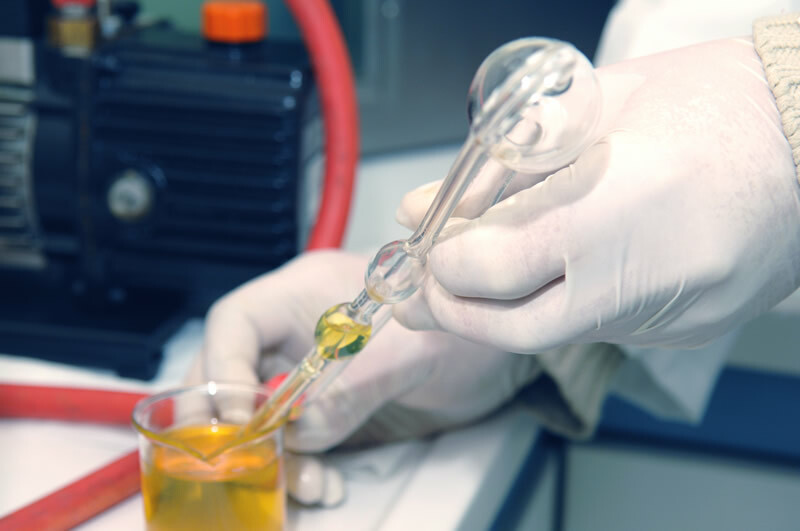 Strong point of AxxonOil is the internal chemical-physical testing laboratory, equipped with the most sophisticated devices for quality tests on lubricants, additives and chemical products. 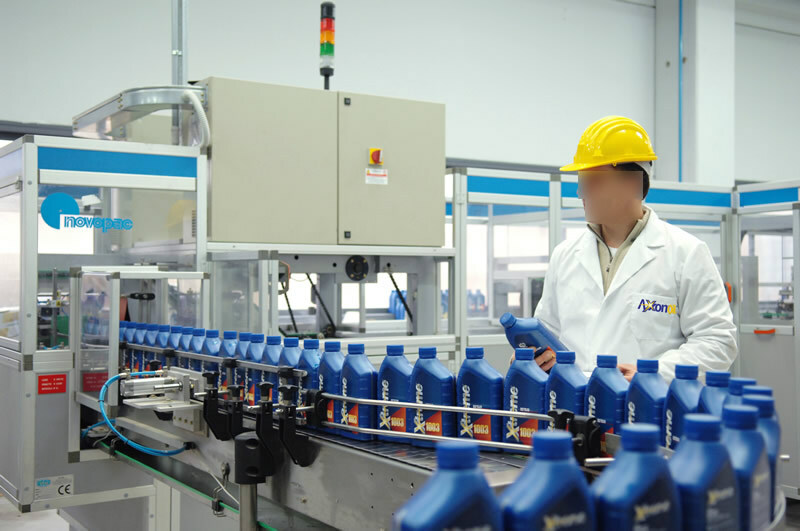 Every purchased base oil and additive, as well as every blended product undergoes several accurate controls and analysis to certify its property and guarantee that every lubricant fully meets its specifications. 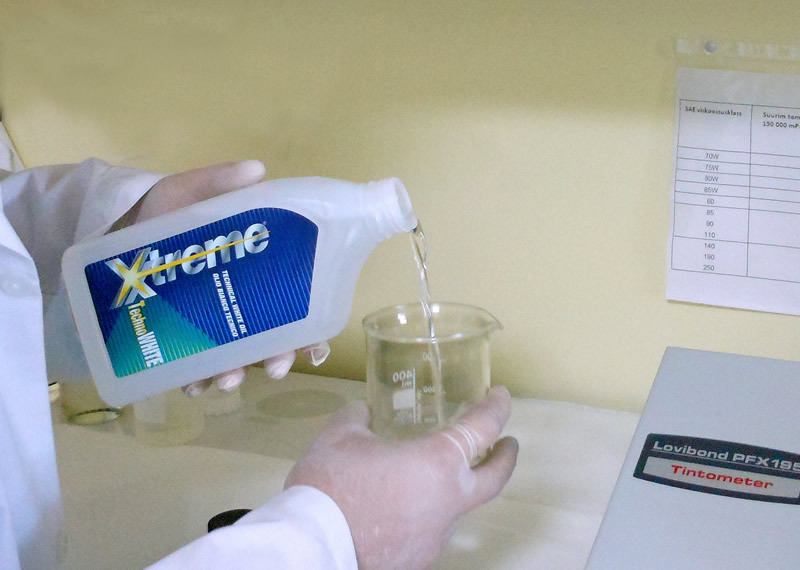 Xtreme lubricants meet the characteristics required by the world leaders in car manufacturing. Many products passed indeed the long path of tests to obtain the most prestigious approvals. Applications for new OEM approvals continue rapidly. 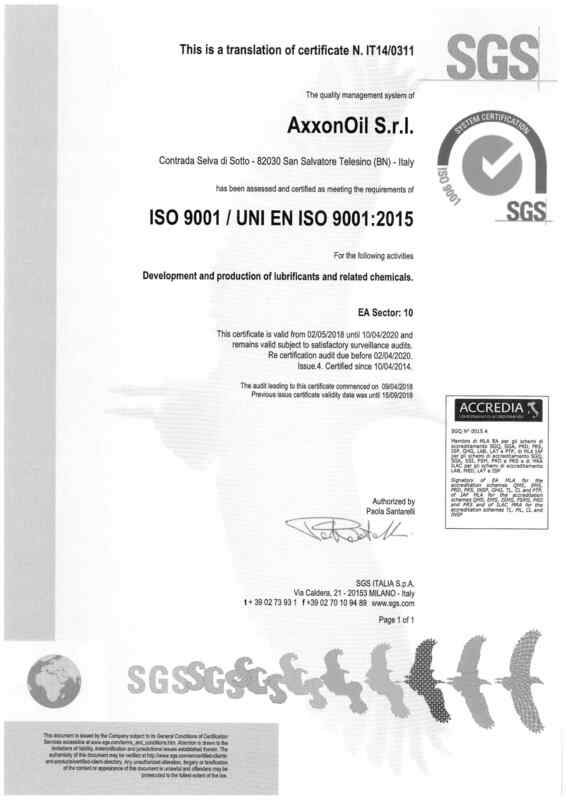 In compliance with the international standard, the activities of development and production of lubricants oils and similar chemical products have been certified. Purchasing, development, production, laboratory, logistics and sales: every process is constantly under accurate control. 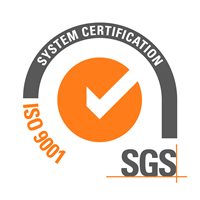 Customer satisfaction has a central role in our Quality Management System. Quality is not an abstract concept in our company, but part of our daily routine. This is the reason why we keep on investing in up-to-date machinery and in training our human resources at each level, ensuring awareness of the relevance of their activities and continually improving the effectiveness of our Quality Management System.